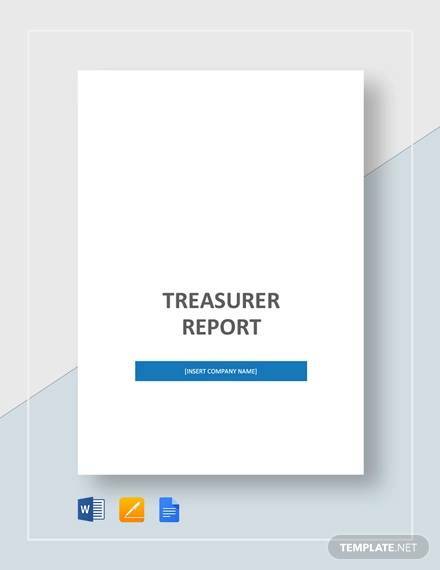 A treasurer report is usually submitted by treasurers covering the total financial details of the fiscal year or before a new treasurer takes in. So it is usually not so easy to make it and you need to search a good treasurer report template. 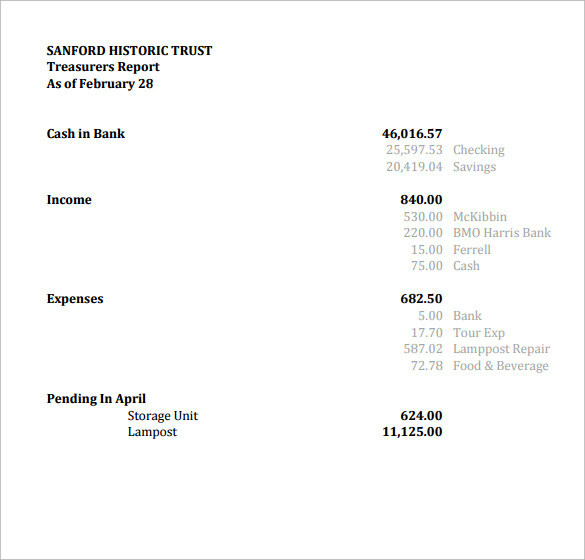 Treasurer report template is generally submitted in excel sheet format and may vary depending upon the need of the place. Our website has various examples of this Status Report template which are available in multiple formats and sizes. You can download them and use them directly as they all are editable, and the best thing is they all are free. This template is very effective to maintain the report of funding and funds available in any club or society. 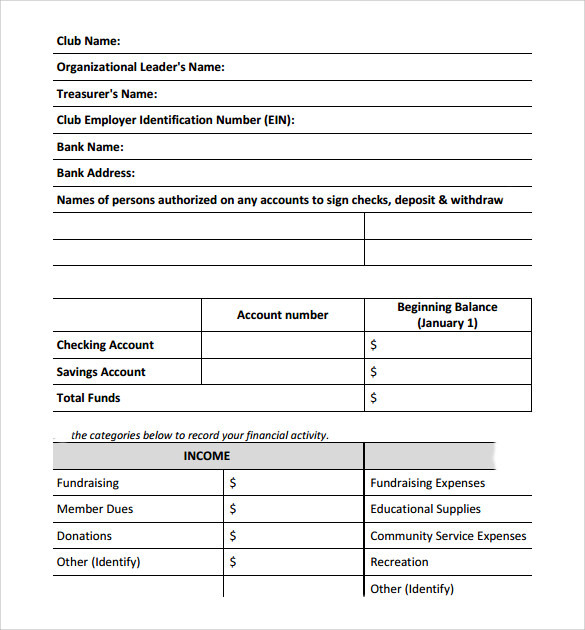 This template allows the treasurer to write all the details about the fund of the club and helps him/her to write about the money received from source. 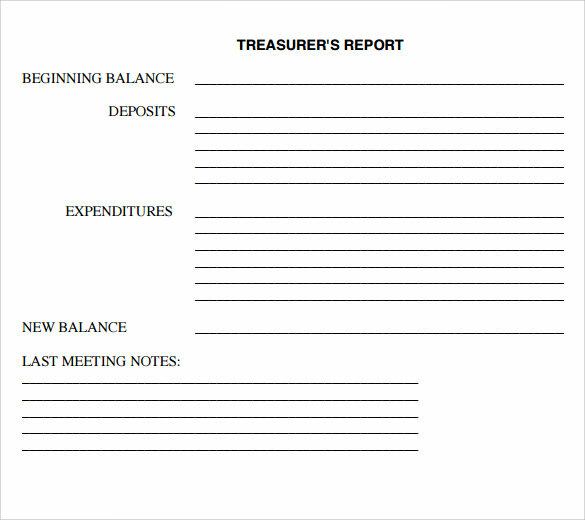 If you are looking for a good template to make a treasurer report then you can use this template. This is yet another good template to make a treasurer report. This is a blank template so if your need this template you just need to download it form here and post taking the print you can use it to make the report. 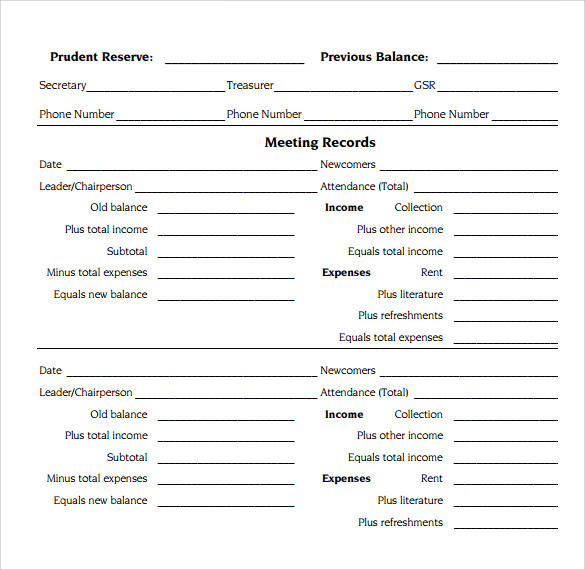 This template allows writing the details about the money received and money spent separately. 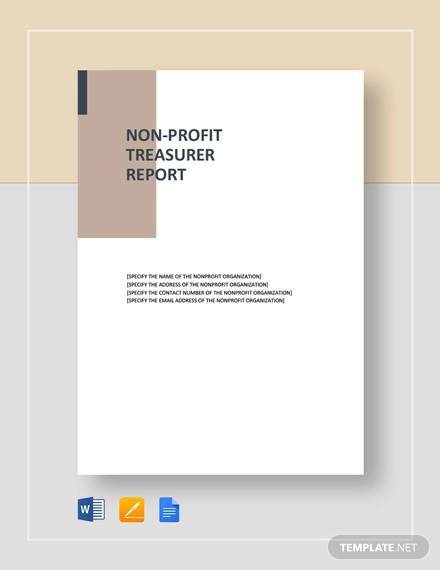 To make report of the money received and spent in an organization this is very good template to make treasurer report. 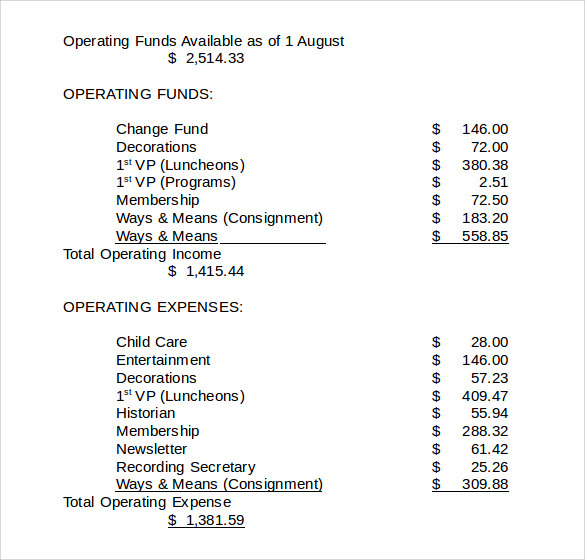 If, you are a treasurer in any organization then is mandatory for you report about the money of the organization. 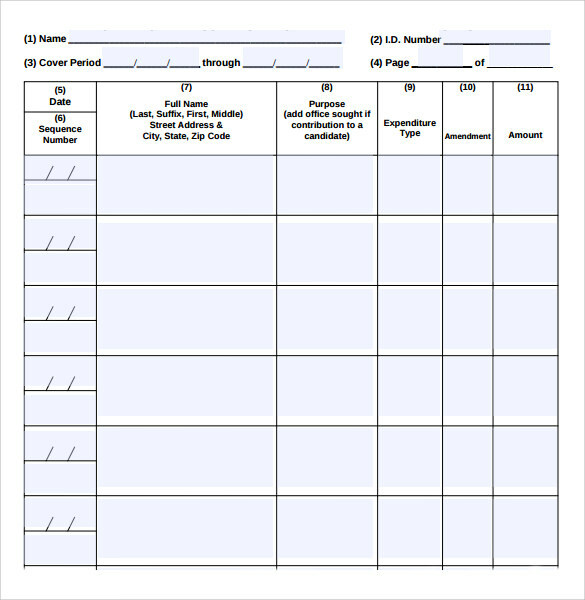 To perform the reporting task effectively this template will help you. This template is very useful to make the treasurer report of any given month. There is space given to write the detailed summery and the recommendation. 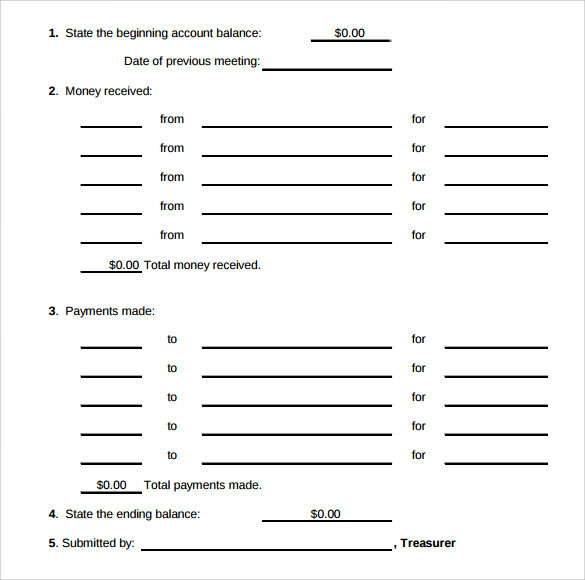 This template can also be used as the cover note of the money report or else you can use it according to your requirement while making treasurer report. 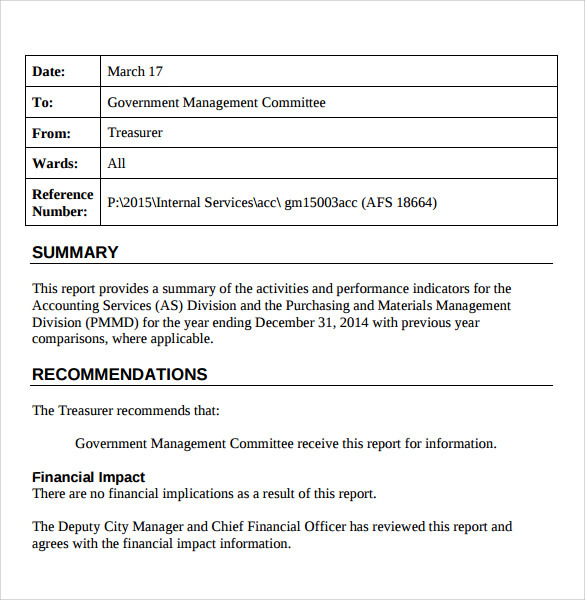 Why We Need Treasurer Report Template? Therefore, the report must reflect the clear picture of funds available in the system. This will allow the stakeholders to take decisions for the future and if there is a requirement of further investment? The treasurer plays the important role in any organization and this role holds the maximum responsibilities of the business. 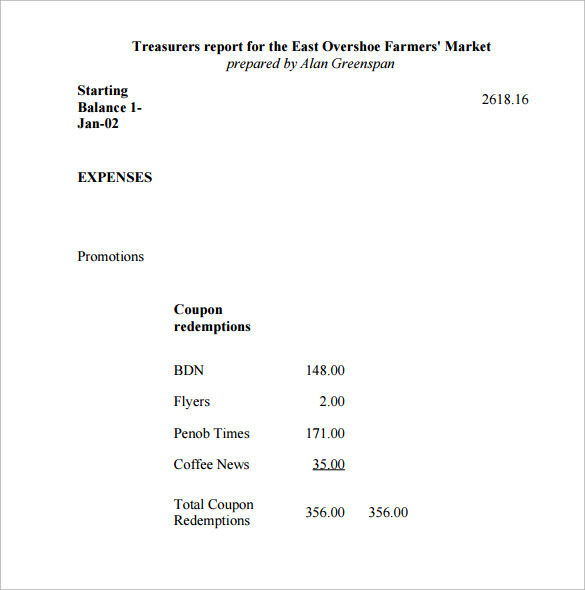 When We Need Treasurer Report Templates? So, if you are looking for and effective template to make a good treasurer report then you just need few clicks and post download any of the required template you can use it accordingly. To present the current situation of funds or to make the report of money gain and spent in any given period this report is required. 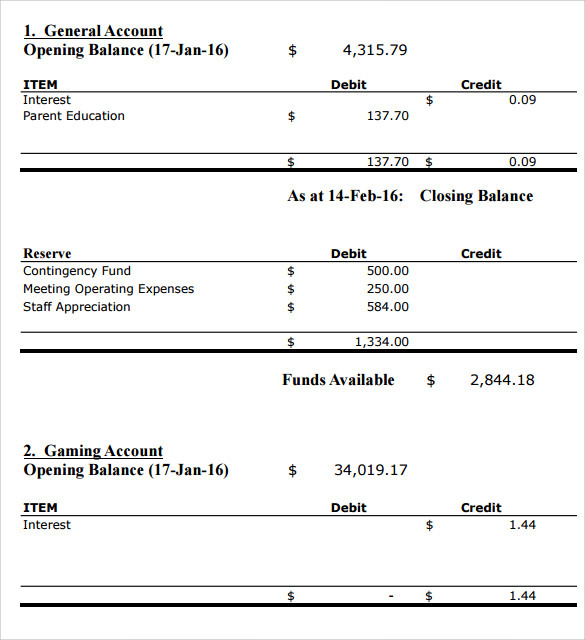 How These Treasurer Report Templates Will Help You? If you are a treasure and facing difficulties in making the report of funds then you can take help from any of the above given templates. There are many types of reporting template given above and all are provided free to download. 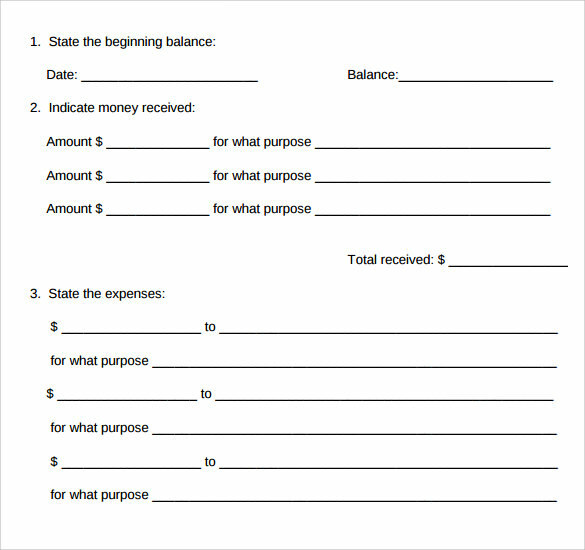 These templates will help you in making the effective report of money spent and gain in your business or society. Being a treasure, it is very important for you that you must give a clear picture of funds available .Therefore, you must be very careful while making the report of money. These templates will help to you choose the right format for your report and by the help of these templates it would be very easy for you to present the details about the money of your business or society. A reporting template must be very carefully designed, and should give the clear picture about the funds used and available. 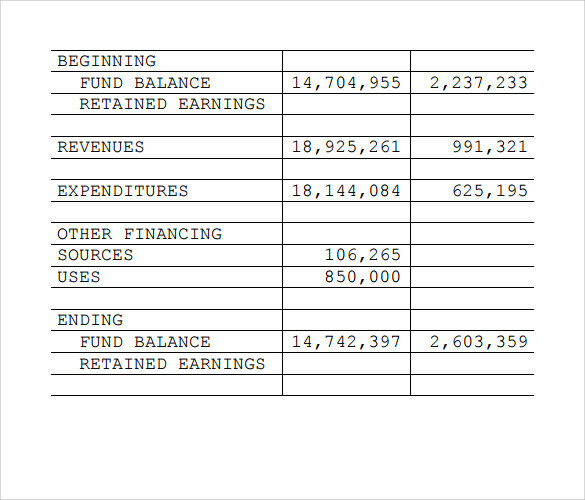 Therefore, templates given here will help you to make an effective, factual report of a treasurer. 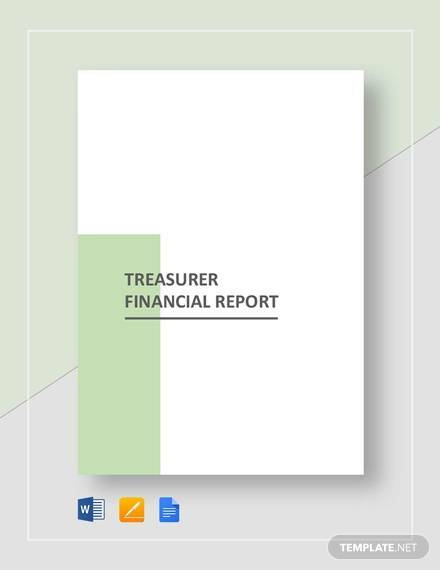 You can freely download any of the above sample templates to make a treasurer report.